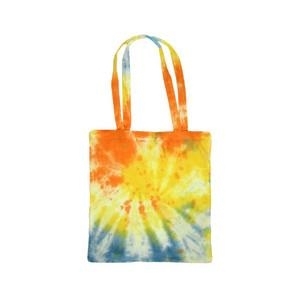 Shop in style with this tie dye recycled tote bag. Be a conscientious shopper and show off your uniqueness. This bag is good for shopping, at festivals, or even a night out with friends. This bag comes in two different color patterns and measures approximately 14" x 13" with straps that measure approximately 18" in length.